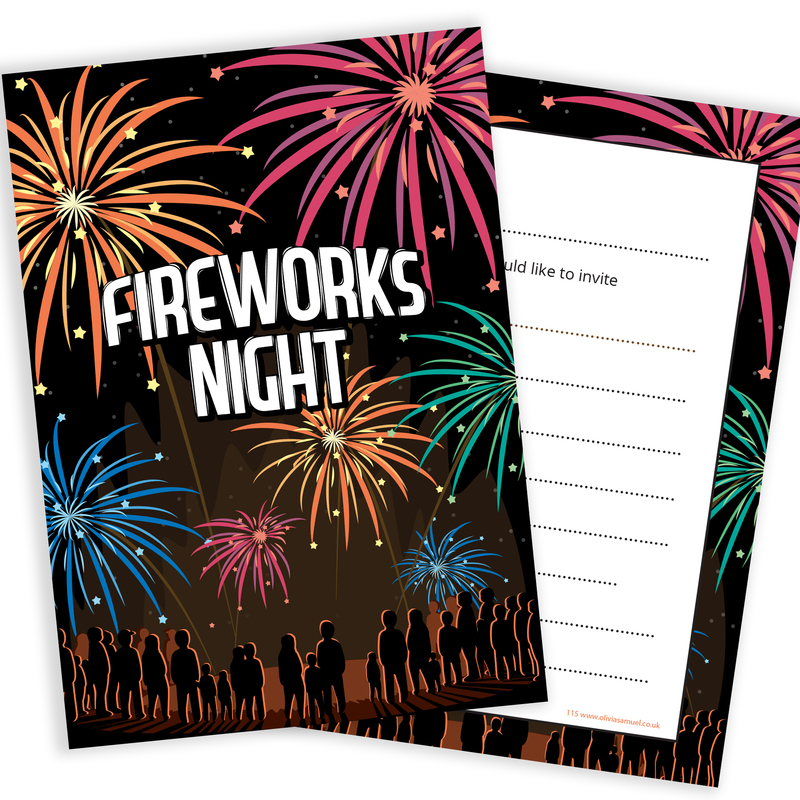 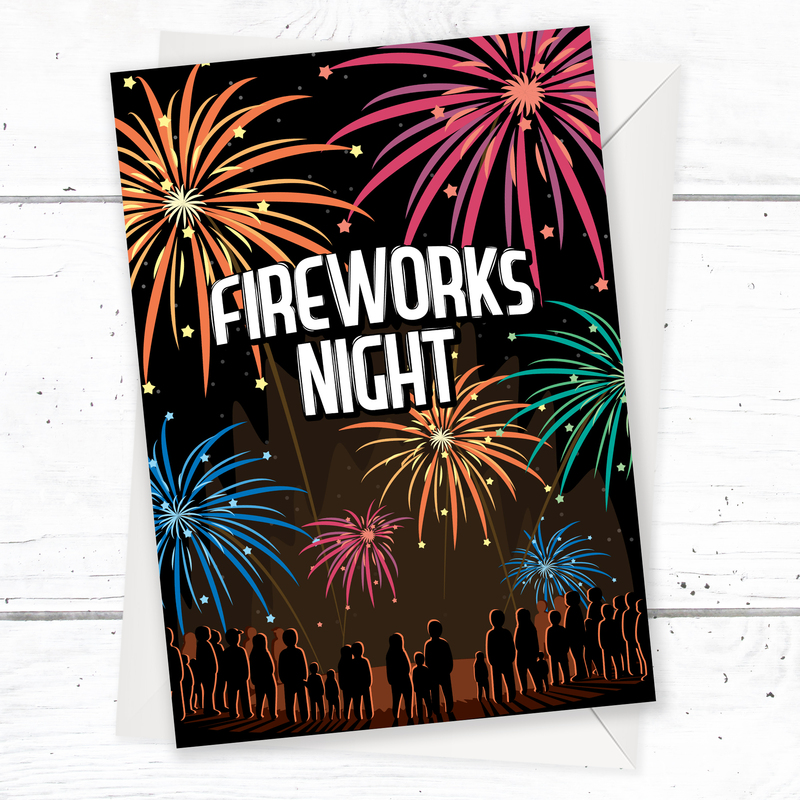 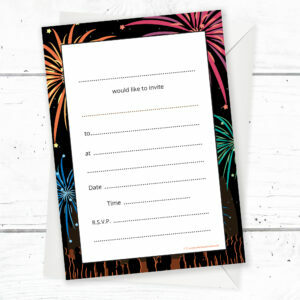 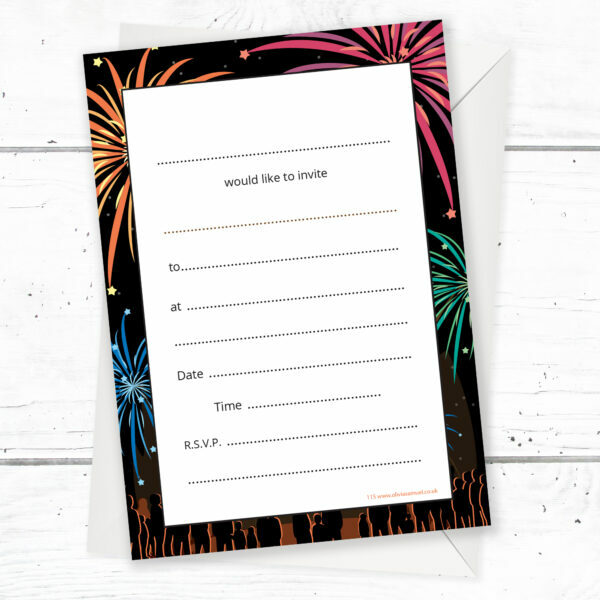 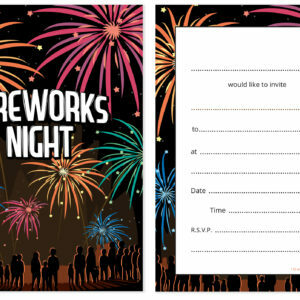 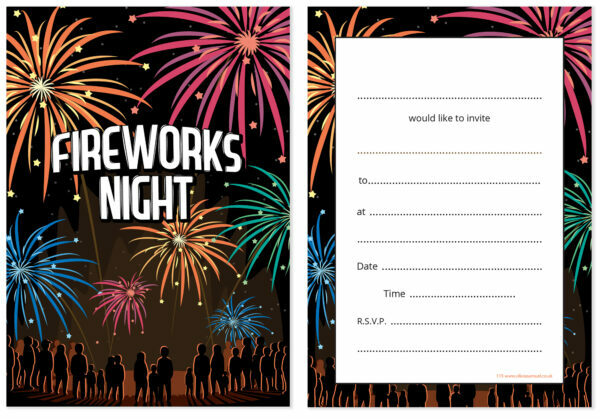 A pack of 10 high quality fireworks party invitation cards and envelopes. 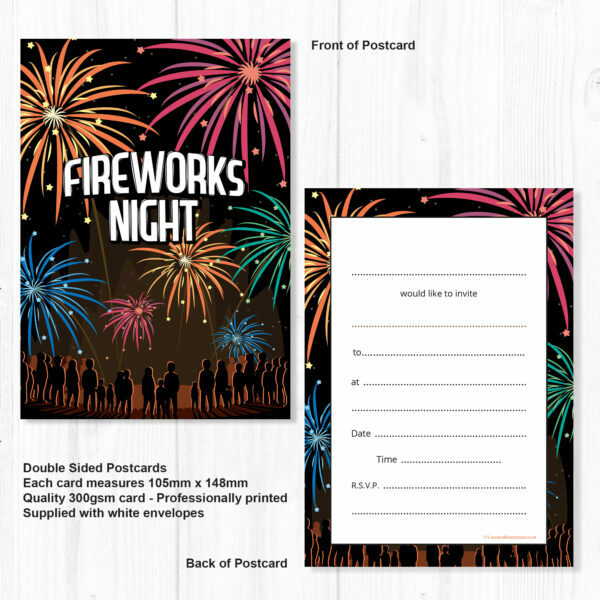 The design has a bright fireworks themed design on the front and back. 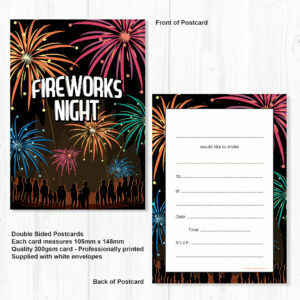 Perfect for an organised guy fawkes / bonfire celebrations. Printed and packaged in the UK by Olivia Samuel.